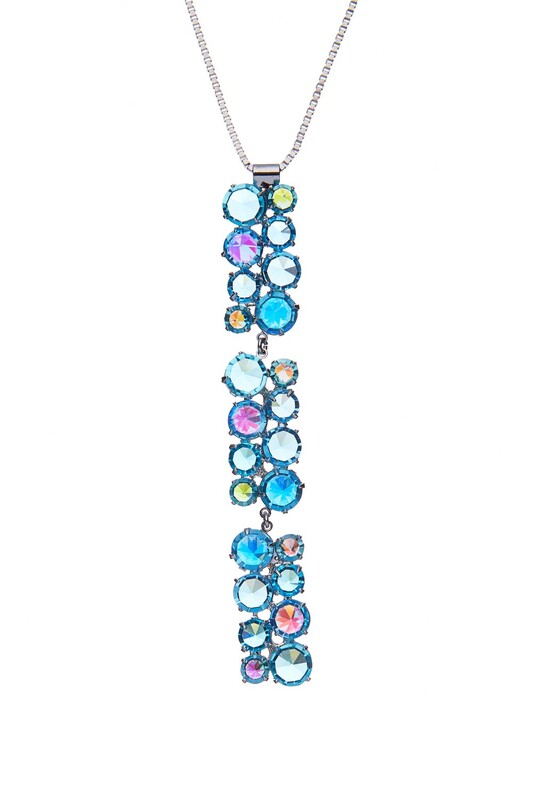 Necklace with nice Aqua and Aqua “aurora borealis” coated rhinestones. Pendant lenght 10 cm. Chain lenght 75 cm. Very durable rhodium plating.